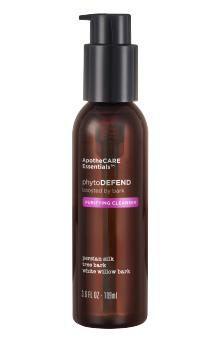 PhytoDefend Purifying Skin Cleanser detoxifies and washes away free radicals that can cause skin oxidation and deterioration. Skin is clean, refreshed and glowing. No Parabens. No artificial dyes. No sulfates. No petrolatum. No propylene glycol. Formulated without phthalates. 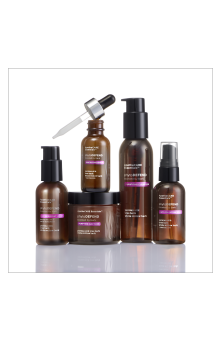 Infused with Persian Silk Tree Bark that energizes skin to visibly reduce the signs of skin fatigue. Massage the skin cleanser over moistened face and neck, avoiding the eye area. Rinse thoroughly. For optimal results use morning and evening. Dispense 2 pumps and lather onto fingertips. A delicate gel that lathers into a creamy texture, leaving skin supple and residue-free. Follow up with PhytoDEFEND Protecting Serum. 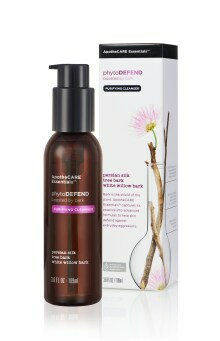 PhytoDefend Purifying Cleanser is rated 4.4 out of 5 by 68. Rated 2 out of 5 by JayJay from Soothing but not cleansing I was hoping to like the ApotheCare PhytoDEFEND Cleanser as much as the rest of the line, but this did not seem to work well with my skin. It did not sufficiently remove makeup and the remains of the day. The texture is great and easy to massage onto skin for cleansing. The product does help to calm wintry skin. It carries the same fragrance as the rest of the line. Not too flowery, which I appreciate because flowery tends to give me headaches. I received the full size cleanser for free as part of Vox box trial, which allowed me to test the product over period of time. This product may be more effective on other's skin than it was with mine. Rated 5 out of 5 by POCT99 from Awesome Skin Cleanser I received the ApotheCARE Essential PhytoDefend Purifying Cleanser complimentary for testing purposes from Influenster. To give my honest opinion, I tried this product out for approximately three weeks before writing this review. I wasn’t expecting the product to have such a nice unique scent. I used the cleanser in the mornings and at night. 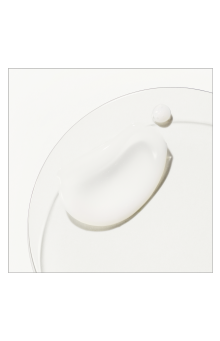 When I applied it to my face, I noticed that it has more of a cream consistency and doesn’t lather up too much. The cleanser had my face feeling clean and it didn’t strip too much moisture from my skin. During the entire duration of me testing this products out, my skin never felt irritated in any way. Rated 4 out of 5 by AlexisZ from Not stripping at all! So I received this cleanser in my Influenster Vox box to sample and review. The first time I tried it I wasn’t too sure about it because it didn’t sud up at all or really feel like it was really “cleansing”. However after trying it the next morning without all the make up on I really really enjoyed it. It really seemed to cleanse my face without stripping it of its natural oil’s which is lovely. It left my skin feeling very soft and hydrated and smooth and smelled amazing! The ingredients it contains seem to really help protect and hydrate your face. Worth giving a try for sure ! Rated 4 out of 5 by Aflockofmoose from Silky and gentle cleanser I received this cleanser as part of a complimentary campaign. I was very excited to try this product. Everything from the packaging to the darker amber tone of the bottle spoke of the time and care that went into the marketing. The cleanser itself is silky, and delicate to the touch. It cleaned my face without drying out my skin. The fragrance was a little strong for me at first but it didn't linger. I gave the cleanser 4 stars because I reached out to the company to see if this brand is cruelty free and if the products are gluten free, but I have not heard back from them. Rated 4 out of 5 by ATovar from Love Everything About It! I received this cleanser in my Influenster VOXBOX, as a Complimentary gift to try out and review. I absolutely love everything about this product. The packaging is very well made, the smell is out of this world. Everytime i wash my face, I continuously compliment the smell. It has a suttle earthy/natural smell, which I love. It relaxes the mind! The product itself did not suds up like normal cleansers. The end result showed me that it didn't need to. I have combination skin, and this cleanser did not break me out, or leave me feeling oily. I felt clean, brightened, with a velvet like texture. I highly recommend! Rated 3 out of 5 by Hmb123 from Non drying I received this line to try for free from Influenster for my honest opinion. I love that this cleanser does not leave my face feeling tight or dry but I absolutely hate the smell. It’s so strong and I feel like I’m choking on it when I use it. Smells like a really old perfume mixed with baby powder in my opinion. Anyway, the formula is very silky and creamy, it doesn’t leather but it also doesn’t feel like you’re washing your face with a moisturizer like some hydrating cleansers. It rinses clean and left my skin feeling smooth and calm. Would be wonderful if it was fragrance free or at least smelled good. Rated 5 out of 5 by cookie859 from Great cleanser I got this cleanser free of charge gratis from Influenster to review but my opinions are all my own! I love this cleanser. It smells good (I like scent in skincare) & doesn’t strip my face of all its oils but thoroughly cleanses my face in the morning (for when I wake up; I remove my makeup before bed). A nice little start to my day. I’d buy this & I would buy this to replace it. It’s very nice. I like it! I’m glad I had an opportunity to try this brand. I had never heard of them before. You should try it if you have oily skin & want to purify your skin as well as aging concerns. Rated 5 out of 5 by JenF from Hidden Gem!!! I received this product free from influenster, but the opinions are my own! I honestly didn't know what to expect from this cleanser. I have combo, acne prone, sensitive skin. I'm on all sorts of medications to keep my skin clear. This product is high fragranced which is normally not a good sign, but this was WONDERFUL! I have been using it twice a day EVERYDAY since I received it and I love it. It's really gentle and moisturizing. I haven't tried to remove a large amount of makeup with it, but otherwise, it's a win across the board for me. Definitely give it a shot! !